Crawl and Play Baby Drop In - Ages 2 and Under! Looking for something to do on a rainy day? Or maybe just to tire your little one out? Pop into our free-play drop-in. Children get a chance to run and play in a safe environment. Athletes must be directly supervised by an adult, and there must be one adult for every three little ones. Cost is $3 per athlete! Crawl & Play runs on Tuesdays at 1:30-2:30pm and Thursdays from 11:00-12:00. Please note that for safety purposes we have a maximum capacity of 20 athletes for drop-in times, and we operate on a first come, first serve basis. However, we can accommodate large groups with advanced bookings at other times. If you are interested in group bookings please contact Coach Jessica at airbornerec@gmail.com. 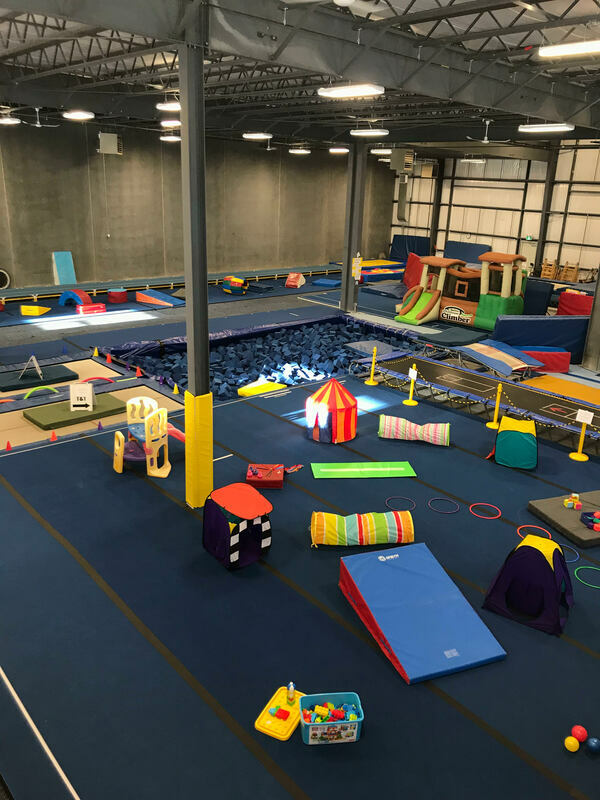 ​ All participants must sign our Drop In Waiver form, every kiddo coming into the gym (including babies in and out of carriers) need to be signed in and paid for. Trampolines are off-limits and covered for this drop in. There are toys, tunnels, stuffies, tents and so many other fun things set out to play with! Be respectful to Airborne coaches, equipment and other athletes. Watch out for other kids, no collisions! ​There is no Drop In scheduled for the Summer. Our programs are full with camps, classes and competitive programming. 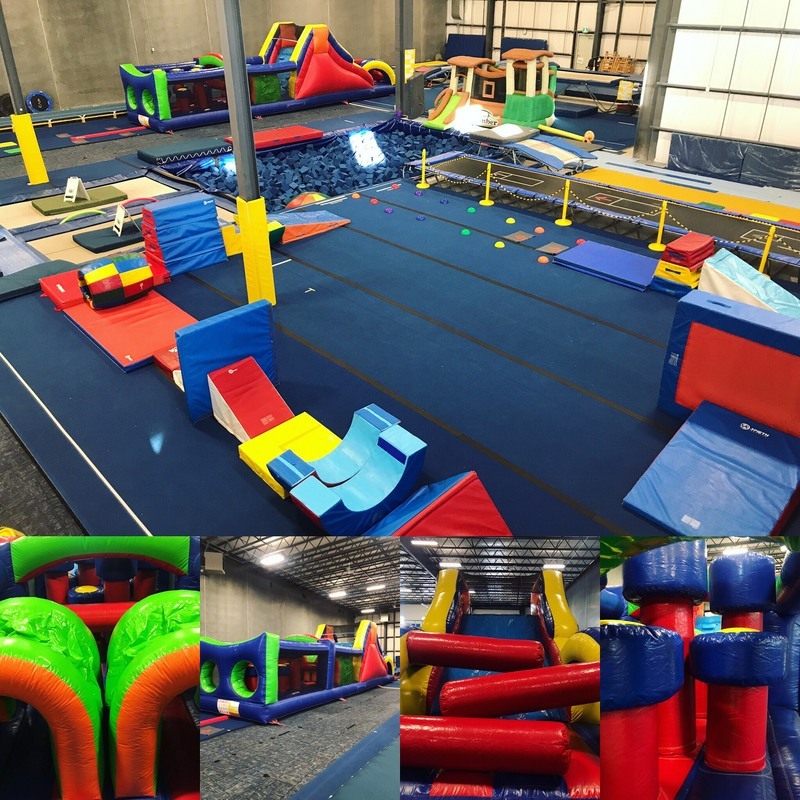 Jump and Play Drop in - Ages 5 and under! Looking for something to do on a rainy day? Or maybe just to tire your little one out? Pop into our free-play drop-in. Children get a chance to run and play in a safe environment. Athletes must be directly supervised by an adult, and there must be one adult for every three little ones. Cost is $5 per athlete! Jump & Play runs on Fridays 10:30am - 12:00pm AND 1:00-2:30!! Doors open 30 minutes prior to start of drop in. All of our Drop Ins are on a first-come-first-serve basis. As there are limited spots for each, we can not reserve or hold spots. If you are looking to book in a large group, please contact us! All athletes must sign the User Group waiver form when entering into the gym. If the parent or guardian is not attending with the child, please provide a filled out copy of the waiver form below.